This picture is from a recent mountain cabin trip. It was one of those oddly cold nights and since we were up on a mountain everything went pitch dark after about 7’oclock. We had an outdoor fire pit and some cozy chairs on the patio. 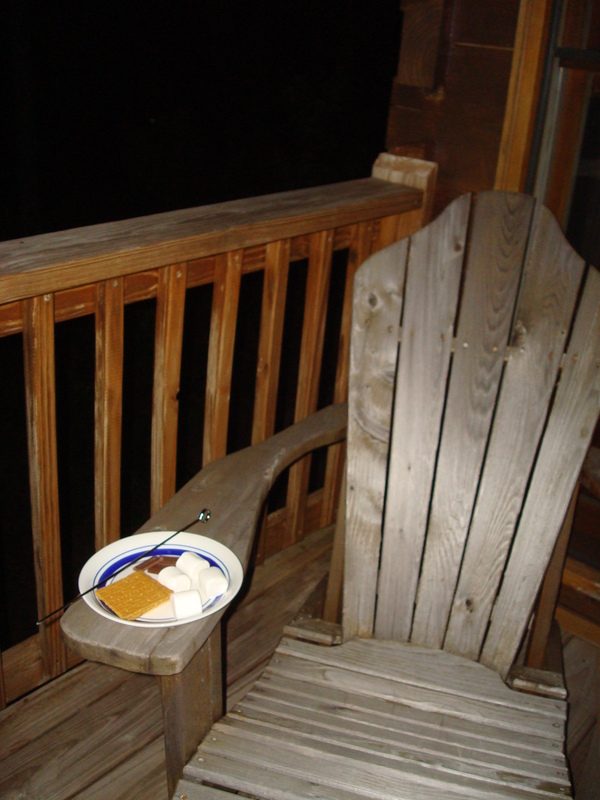 That plus your typical s’mores accoutrement I had what we all know as the best dessert for cold night by a fire. Thus when I got home I still had cravings for some-more. I did the sad pathetic attempt at s’mores in which you microwave aforementioned ingredients and smoosh together. This didn’t quite work so I started thinking and googeling. 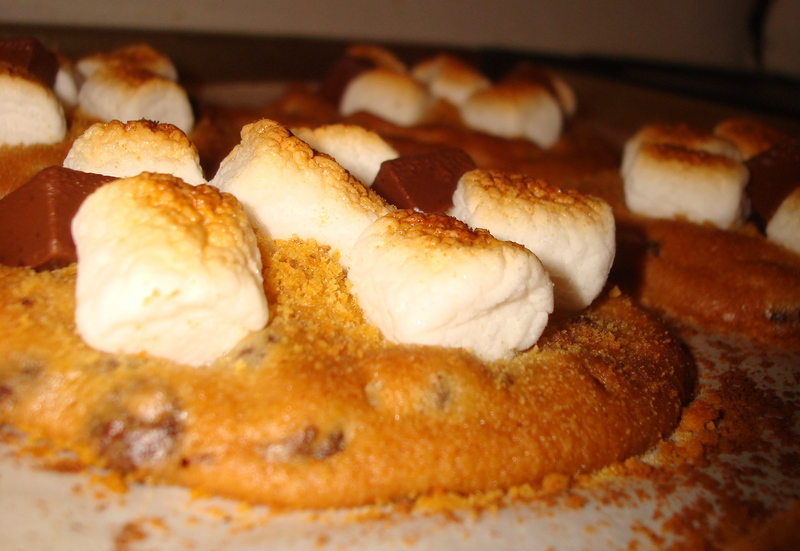 I found s’more cookies on a couple websites and found one such recipe that I catalogued for further contemplation. Fast foreward to the other day, I had in my cupboard most of the items required for said recipe along with some packaged break and bake chocolate chip cookies. I decided that I would be lazy and try out a short cut. End result, wait for it, Awesome! They were warm, they were chewy, they tasted all kinds of camp ground good. Plus I only had a half dozen so I could only break my diet a half dozen times. 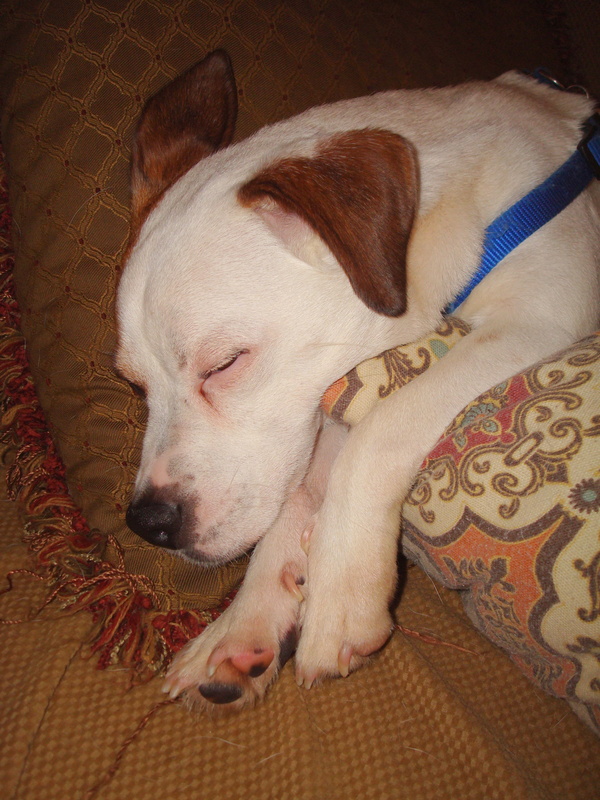 Linco was not so enthused by them seeing as he was left out due to chocolate/sugar content. Still he got his afternoon snooze on while I enjoyed my afternoon snack with some ice cold moo-juice. -Arrange cookies on sheet pan lined with parchment paper, place in over for 3 mins. -Pull cookies out of oven and sprinkle each cookie with about a tsp of graham cracker crumbs put back in the oven. -Once cookies are almost completely baked pull out of the oven and change temp to broil. 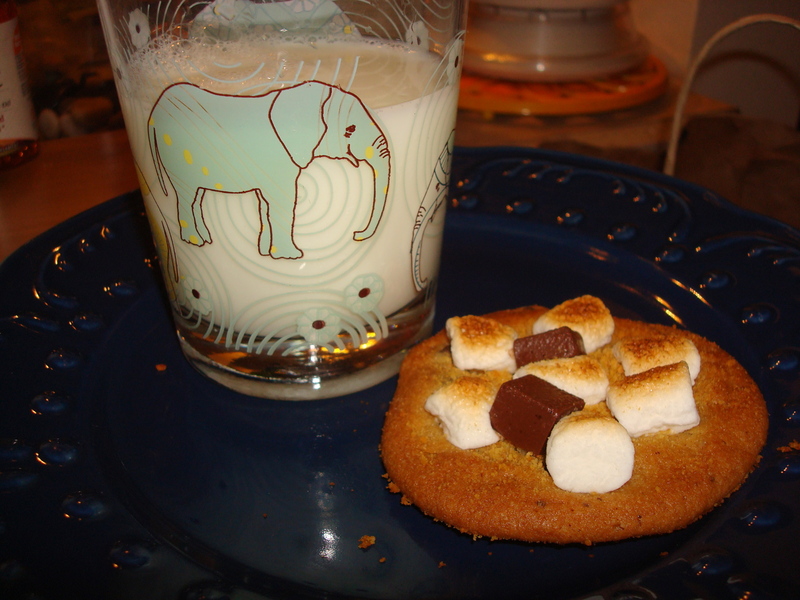 -Arrange tops of cookies with marshmallows and chocolate chunks and put under the broil for just long enough to brown the tops of the marshmallows. 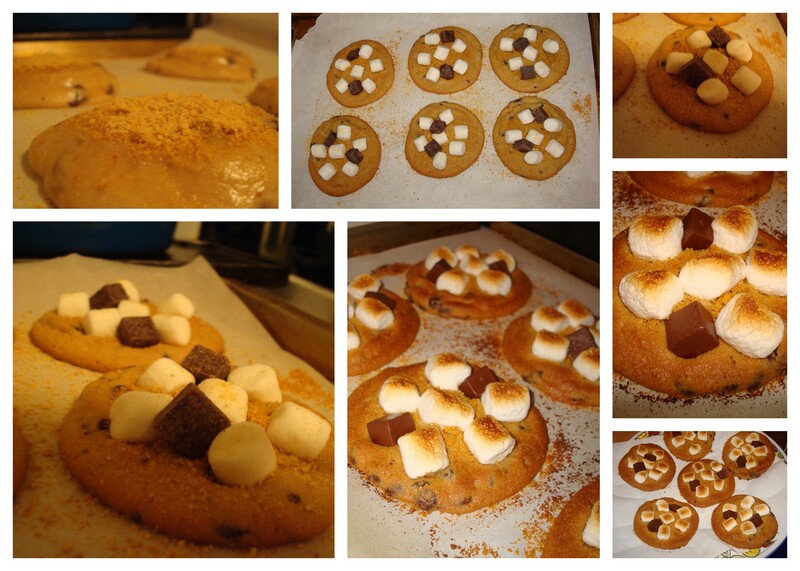 This entry was posted in People Food and tagged baking, campfires, childhood, chocolate, cookies, s'mores, sweets by Angie. Bookmark the permalink.